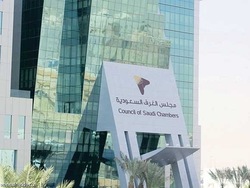 Jeddah- Council of Saudi Chambers is discussing forming a delegation of its councils and the business sector to tackle the potential agricultural and food security investments – this coincides with Khartoum hosting the third Arab Conference to be held by Arab Authority for Agricultural Investment Development (AAID). “Our Food .Our Responsibility” will be the theme under which AAID will hold on 27-28 February the third Arab Conference, with the patronage of President of Sudan Omar al-Bashir. According to the authority, organizing the conference launches from its vision to reinforce Arab food security. The conference will host an elite group of senior officials from Arab countries, businessmen and investors in the agricultural sector, international and Arab organizations, representatives of farmers and economists unions and other researchers in the agricultural sector. The conference aims to highlight the significance of creating an attractive investment climate to increase agricultural investment in Arab countries, particularly those rich in agricultural resources.